On October 23-26, 2017, 2nd session of the Commission for Dialogue between the Russian Orthodox Church and the Assyrian Church of the East took place in the city of Modesto, USA. The delegation of the Moscow Patriarchate consisted of Bishop Kliment of Krasnoslobodsk and Temnikov, co-chair, and hieromonk Stefan (Igumnov) secretary for inter-Christian relations of the Moscow Patriarchate’s Department for External Church Relations. The Assyrian Church of the East was represented by His Grace Mar Awa Royel, Bishop of California and secretary of the Holy Synod of the Assyrian Church of the East, co-chair; Chorbishop George Kanon Toma, clergyman of the Assyrian St. Andrew church in Glenview, Illinois, USA; an d priest Ephraim Alkhas, assistant to the Secretary of the Holy Synod. Another aspect of the Commission’s work is the academic contacts networking. 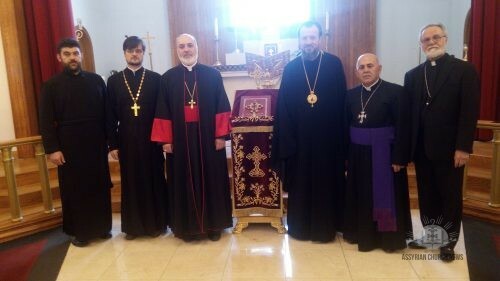 There was noted the importance of the participation of representatives of the Assyrian Church of the East in the 4th international patristic conference on St. Ephrem the Syrian and his Spiritual Heritage held at the Ss Cyril and Methodius Theological Institute for Postgraduate Studies in Moscow last April The Commission considered the importance of the development of student exchange and other kinds of cooperation in the spheres of academic studies and youth affairs. 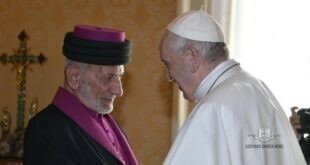 The participants acknowledged the fact that a theological dialogue between the Orthodox Church and the Assyrian Church of the East is on the preliminary stage. In this regard there was noted the importance of the first informal consultation of representatives of the Assyrian Church of the East and the Patriarchate of Constantinople held in Chicago in February 2012 as a helpful basis for official dialogue between the Orthodox Church and the Assyrian Church of the East. 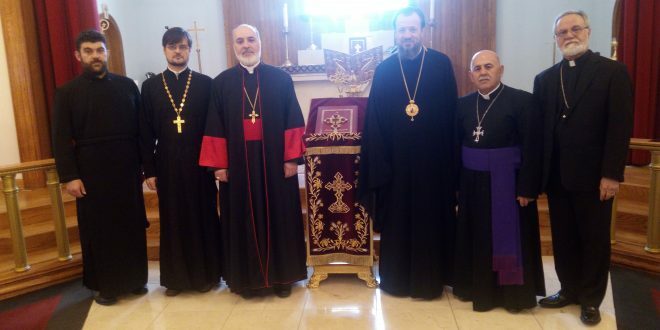 The Commission acknowledged that theological consultations between the Assyrian Church and the Russian Orthodox Church can also be helpful for achieving this goal. Concrete steps for such consultations were outlined also on the basis of the historical experience of bilateral relations in the beginning of the 20th century during the years of active work of the Russian Ecclesiastical Mission in Urmia. Archimandrite Stephen (Salo) presented a report on the subject. The results of the Commission’s work will be presented to the Holy Synods of the Russian Orthodox Church and the Assyrian Church of the East for approval. The next session will take place in Russia in the autumn of 2018.